Pallini is one of Rome’s oldest drinks companies, it produces the well known Pallini Limoncello and was originally established in 1875. I came across this cream liqueur from the company at a recent duty free trade event in the US. Micaela Pallini, the President and CEO of Pallini (pictured above) was there representing their products and I really enjoyed sampling this delicate cream liqueur, made from Pallini Limoncello and the freshest Italian dairy cream. 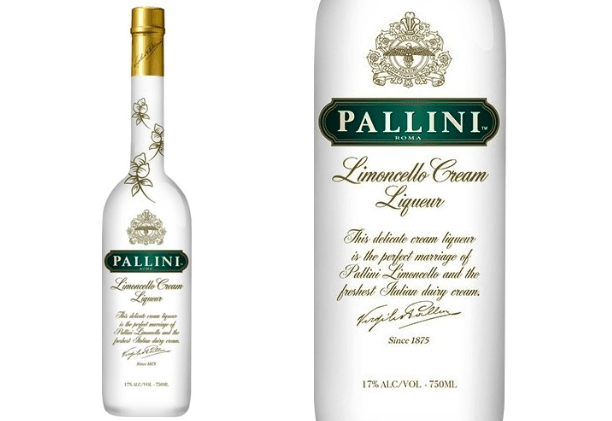 Pallini Limoncello Cream Liqueur is a decadent and rich limoncello liqueur, crafted using only Italy’s finest Sfusato lemons, known for their weight and unusual shape, and grown on the hillside of the Amalfi Coast. The lemons used are quickly taken from the farm to the distillery within the same day to ensure maximum freshness in every bottle. This cream liqueur at 17% ABV has a smooth texture, sweetened just right followed by a delicate finish that leaves just the right amount of flavours on the taste buds. The same handpicked Sfusato lemons are used to make the well known natural liqueur, Pallini Limoncello.